This easy pumpkin French toast casserole takes all the morning work out of breakfast and brunch. A delicious, fall flavored casserole can be assembled the night before so all you have to do the next morning is pop it in the oven and enjoy. This pumpkin French toast casserole recipe is perfect for Thanksgiving morning or for a fall weekend brunch. 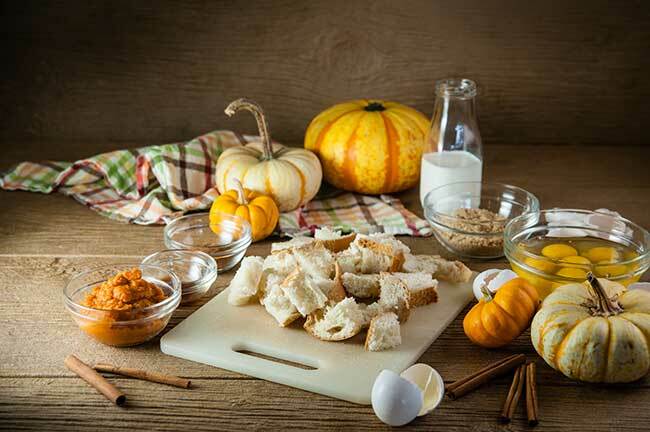 Just follow the simple steps and you’ll be enjoying a hearty, fall breakfast in no time. Oh fall is really upon us now. I mean it officially becomes fall on Saturday so people that say I am jumping the pumpkin gun can officially step aside now. I have no shame in my pumpkin game and it will not be silenced. Even my daughter is in on the pumpkin love. She’s convinced there is a Princess Pumpkin Spice Latte. I’m not gonna tell her no to that because it might be me. Anyway, what better way to celebrate the first official weekend of fall than with this pumpkin French toast casserole? Now I know I’ve told you all before but I am seriously not a morning person. Most weekends, my fabulous husband takes the title of official pancake flipper and breakfast maker. Because I am a hot useless mess before I drink my morning coffee. I just can’t handle dishes that require my attention because my attention is on one thing only: finding the bottom of my coffee cup. But occasionally, I like to feel like I bring something to the breakfast or brunch table. 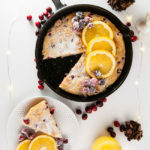 So when it’s my turn to make weekend breakfast, I make things that take the labor intensive parts like babysitting pancakes and make them into a baked dish like these skillet blueberry baked pancakes or I turn them into dishes prepped the night before like this pumpkin French toast casserole. 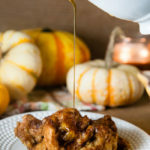 This pumpkin French toast casserole is a variation on my other make ahead French toast casserole. It requires the same basic ingredients: milk, eggs, bakery bread in chunks. But it adds in pumpkin, pumpkin pie spice, and cinnamon. And the result? 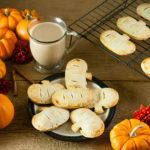 Warm, cozy pumpkiny goodness that can be made ahead of time. Get the prep done the night before! This pumpkin French toast casserole is the best when the bread has soaked for more than 6 hours. Don’t skimp on drizzling the butter and brown sugar on top. 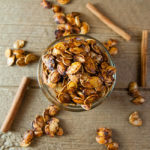 It makes a lovely caramely topping that is just perfect with these fall flavors. Feel free to add nuts to the the topping. Chopped pecans or walnuts would be insanely delicious on this, but I omitted them because I was trying to make this something my daughter would eat. If you don’t want to use half and half, you could add even more flavor by subbing in pumpkin spice creamer. OMG yes. 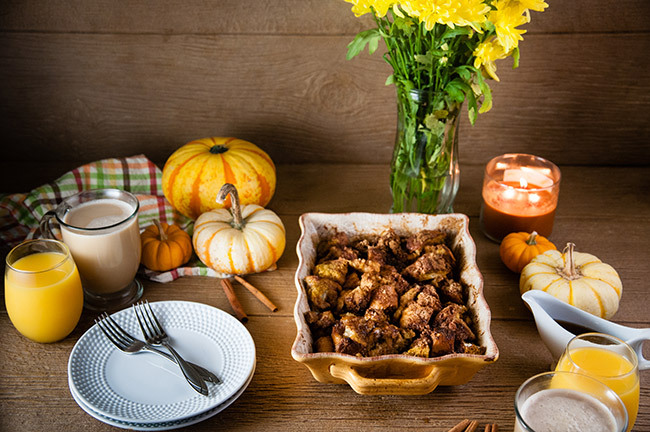 A warming, cozy make ahead pumpkin French toast casserole is the perfect make ahead fall breakfast. 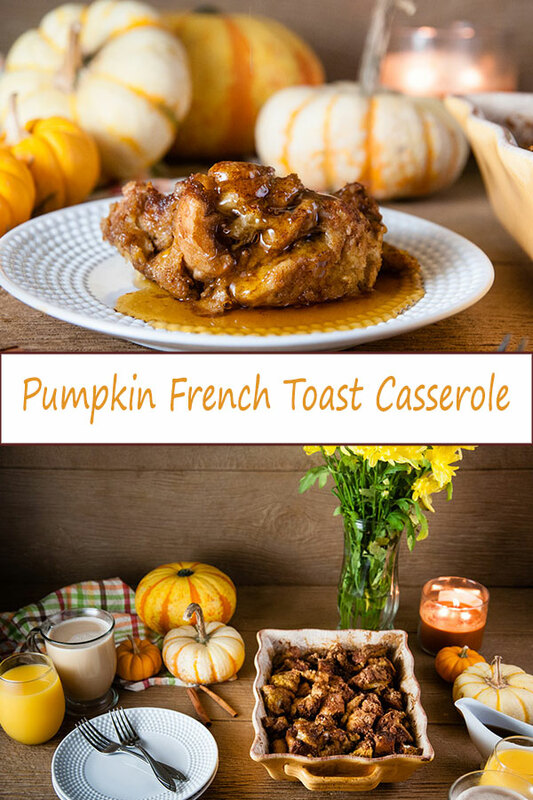 A delicious breakfast or brunch treat, great for Thanksgiving or Christmas morning breakfast this pumpkin French toast casserole requires no prep on the morning of. Simply make ahead the night before and pop it in the oven prior to serving. Cut the loaf of bread into 1 inch cubes. Put bread cubes inside a 9×13, 3 quart casserole dish that has been liberally buttered or sprayed with nonstick spray. Set aside. In a separate bowl, beat together 6 eggs, half of the brown sugar, the pumpkin, half and half and spices until thoroughly combined. Pour over the bread evenly. Cover with aluminum foil and refrigerate at least 4 hours but overnight is better. When you are ready to bake, remove from fridge, uncover, and preheat oven to 400. Melt 6 tbs of butter in the microwave and pour evenly over top of the casserole. Sprinkle the remaining brown sugar evenly on top of the casserole. Bake at 400 for 30 minutes. Top as desired. Enjoy! 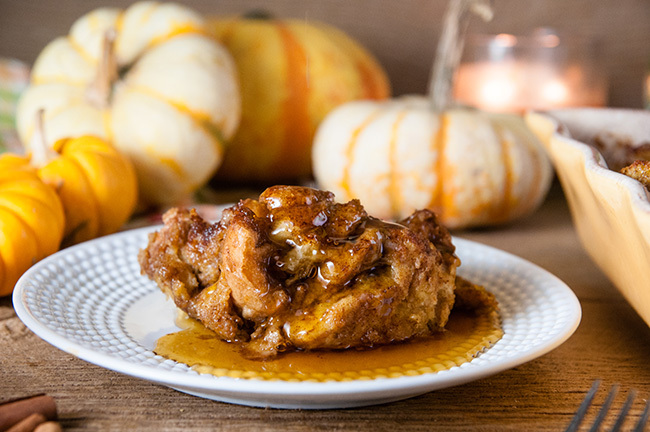 Shop this pumpkin French toast casserole recipe! Get in my belly!!! 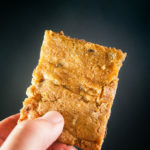 I am definitely going to be trying this recipe this weekend! This looks mouth watering and I’m not even a pumpkin flavor fan! Yum! Incredible looking breakfast/brunch! How awesome will this be for a long holiday weekend when you have houseguests? Thank you! This looks so good. I’m going to make this version the next time I have French Toast. Mmmmm I love french toast and pumpkin so this is PERFECT! Oh my gosh, this looks so delicious! So perfect for fall. 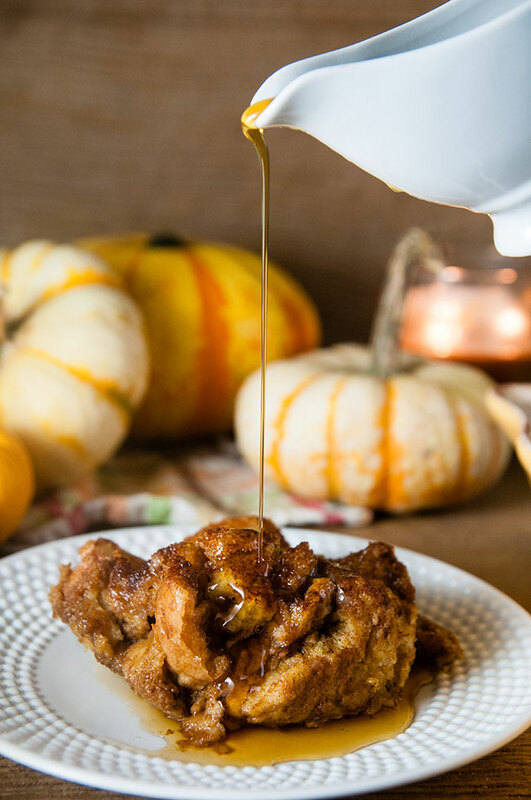 I have never had pumpkin french toast before – this looks so good!